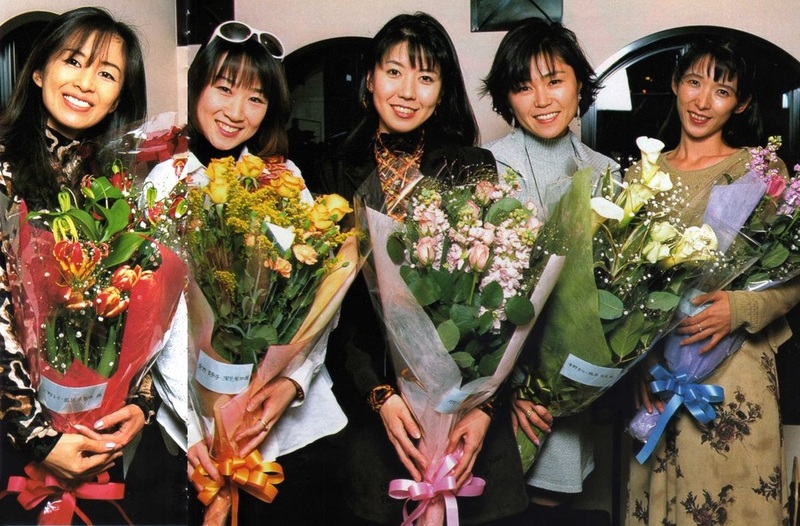 From industry veterans like Toru Furuya to then-novices like Megumi Ogata, the Sailor Moon cast spanned the whole gamut in terms of voice acting experience. In spite of — or maybe in credit to — their varied work experiences, the series producers were uncompromising in finding the absolute best person for each role. Even if that meant that some of the voice actresses didn’t get the role they originally auditioned for. Shortly before the final episode aired, Animage held an interview with the five main cast members and sent out a questionnaire to other members of the voice cast to get their opinions on the now legendary series. Today we’ll be taking a look at the answers given in the questionnaire, with the interview translation to come later in an upcoming article. 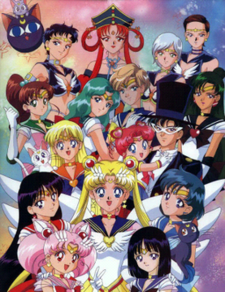 How do you feel about Sailor Moon coming to an end? How do you feel about your character’s ending, and what do you hope for their future? What was a particularly meaningful episode/scene for you? For the sake of simplicity, I’ll just be omitting the questions and providing only the responses. I’m relieved to have seen it all the way through, but I also feel like there’s a hole inside me that I’m not yet sure how to fill. Honestly? I’m just glad he’s still alive! I hope he’s always at Usako’s side. 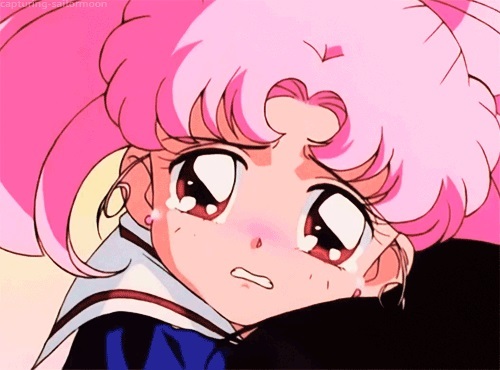 The scene where Mamoru gives up his own life for Usagi. Oh, and the smile and tears on Kotono’s face when she returned to work after her recovery and gave her first performance as Usagi. Probably my audition for Sailor Moon. It was Christmas eve, before the show was even on the air yet. I still remember what I was wearing to this day — a pink, frilly dress. A lot’s happened since then that I just plan on putting away in the back of my mind. My next goal is to find where I can improve and do even better. I think the series gave many people hope and something to believe in, something a lot of people tend to lose. Setsuna is always so calm and collected. While watching that final shooting star, Hotaru asks Setsuna what she’s praying for and Setsuna responds “it’s a secret.” For some reason, I just fell in love with her even more and her adorable response. I had a wonderful time playing Shingo, Haruna, and Pluto. But for some strange reason, the thing that really sticks with me is when I got to play the Cardian Yamandakka. That was fun. It’s sad of course, but also a weight off my chest. I want to say thanks to all the staff and cast members, and of course to the fans who cheered us on. Going from the first Cardian in Sailor Moon R onto an elementary school kid, then Petz, young Mamoru, and finally Haruka… it really feels a lot like a salmon swimming up stream. (laugh) Episodes 106 and 110 stand out the most to me as Haruka, but the whole series was an opportunity for me to grow, and the time I spent with everyone will remain a fond memory in my heart. I’m thrilled to have had the opportunity to work on Sailor Moon. Thank you everyone. 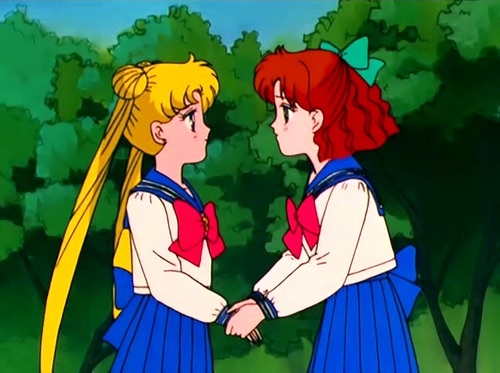 I’m just happy to have had to opportunity to meet Michiru. I hope that she and Haruka live on together forever. I’m glad that she was able to be reborn and have an opportunity to rejoin her fellow Senshi in protecting the Earth. It’s great that she could have her own happy ending. It was really tough playing Hotaru Tomoe, the Silent Messiah, Mistress Nine, and Sailor Saturn as four different roles, but as a voice actress I’m really satisfied. This is an incredibly important series to me. Back in January (1997), I went to Toronto, Canada and was truly bowled over by the power of the series when I saw Sailor Moon products everywhere. I’m sad to see the series end after a five year run, but I’m certain that this was truly a “destiny” that the series would momentarily define a generation. When Naru married Hawk’s Eye during the series!3 Umm, probably the image that sticks with me the most is the tragic end to Naru’s relationship with Nephrite. “I’m Usagi Tsukino, 14 years old and in my second year of junior high…” It’s been five years since we first heard this line, and I’m really happy to say that Kotono and Usagi both grew a lot over that time. After we finished recording, Kotono and I shared a teary embrace before finally heading home. I’m truly thankful to have been a part of a show that could actually bring people to tears. As long as she’s at Usagi’s side, I’m happy! Personally, I loved the scene where Gurio Umino was throwing around fried shrimp. Also the whole episode starring Shakoukai.4 Oh, and Minako’s innocent little adventures. There are just too many. I guess it only makes sense that so many of the cast members would have nothing but glowing things to say about the series, but I’m really impressed by how much of an impact the series had on many of the voice cast on a personal level. Unfortunately, this article has gone on pretty long, so I needed to split out the separate interview conducted with Kotono and the rest of the Sailor Team, but I’ll be getting that up shortly! 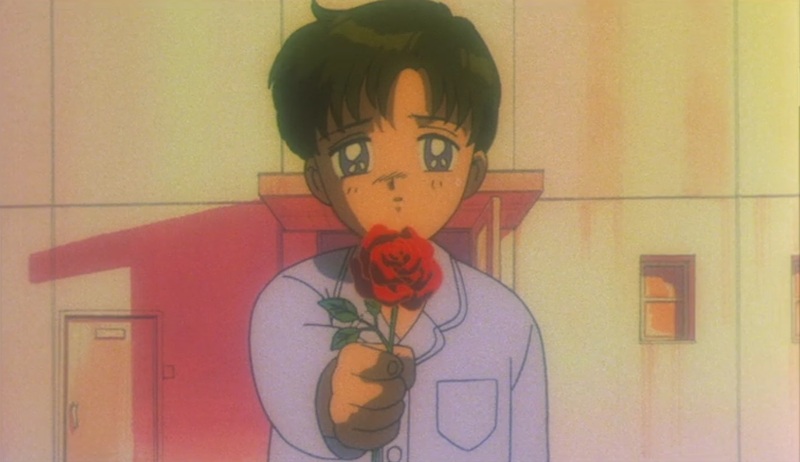 Since I already have your attention, I’d just like to ask really quick how you felt about Sailor Moon when you finally saw the last episodes? I’ve already discussed before what a truly emotional experience it was for me when I first thought the series had ended, but I’d love to hear from you! 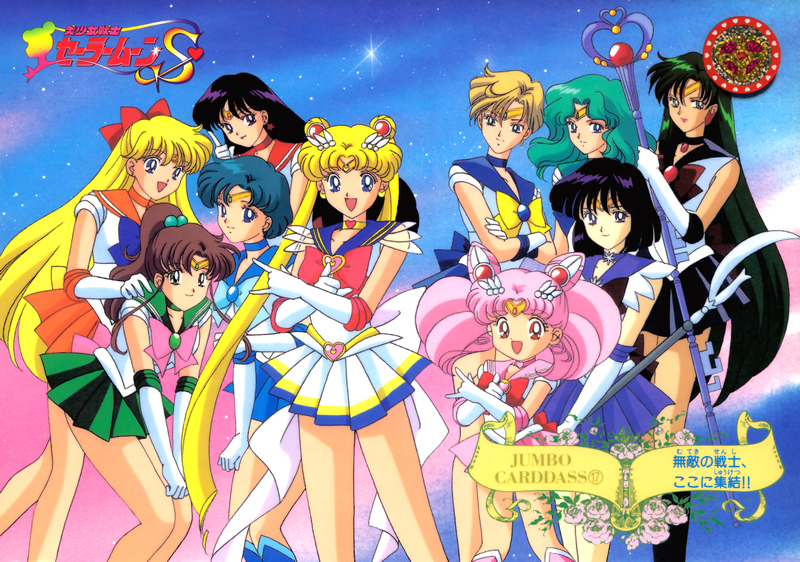 ← Why Was Sailor Moon Drops Cancelled?